Hi friends! Hope that you are having an excellent weekend! I'm feeling ok. A bit tired from all the activity but I'm trying to push through it. I should be coming back later on today with a Easter project but in case I don't, HAPPY EASTER! Here's a card I created for a couple challenges. First up is a brand new challenge called A Blog Named Hero. This is for challenge one which is Play Favorites. The new Hero Arts/Basic Grey Konichiwa Lantern stamps are a new favorite of mine. I fell in love with them at CHA and I'm so glad I got them! I used the Hero Arts April Sketch challenge for this card. The paper is Basic Grey Konichiwa. I love when things match, did you know? I added some Stickles to the flowers on this card. I love your colors and design, Ashley! 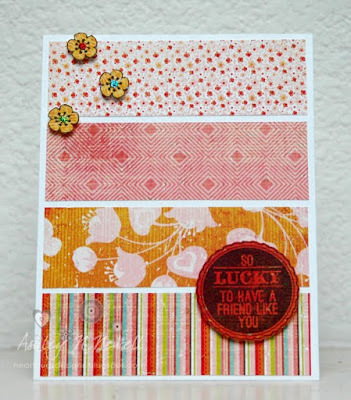 Such a pretty card-thanks for sharing! Great use of pattern papers! What a cool card! 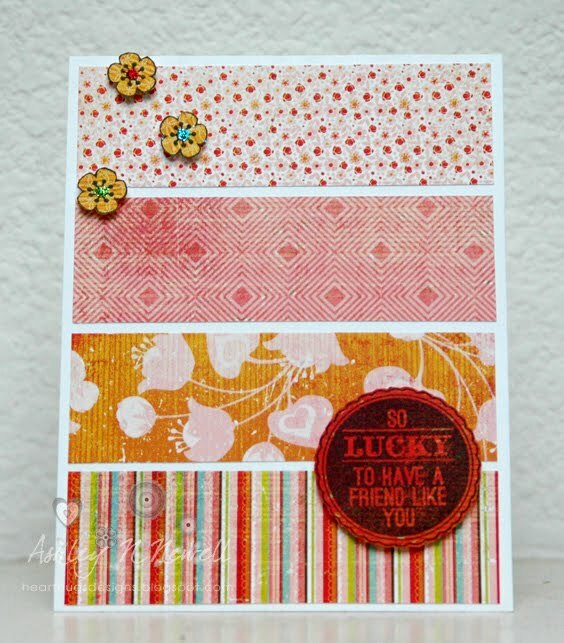 Love how you've used those patterned papers!